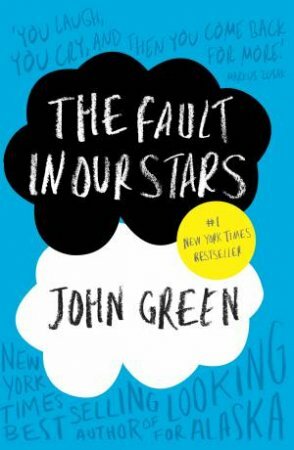 The Fault in our Stars is the first of John Green's books to be turned into a film but the book is a must read before you see the movie. The characters are captivating and relatable as they take the reader through a coming-of-age story to remember. It's an easy read and is appropriate for anyone who enjoys a different take on the teenage love story about life rather than death. It will make you laugh, it will make you cry and it will make you wish the story never ended. Reviewed by 01zt. I started this book skeptically because I was very disappointed by Looking for Alaska so my expectations were pretty low. But I LOVED IT. I loved Hazel Grace, she was intelligent and quirky and real. Don't get me wrong, it was super sad and tragic and broke my heart a little bit. But it also made me laugh. This book kept me reading into the night because I couldn't put it down.